Did someone say different and healthier meatball recipes? Yes! We all know the traditional meatballs with sauce, which is always delicious. And, although there is no problem repeating and repeating a delicious and rich food dish, sometimes you have to take a risk and and get innovative in the kitchen. Sometimes we are afraid of gaining weight, and we look for other recipes with fewer calories. But why not unite the best of both worlds? 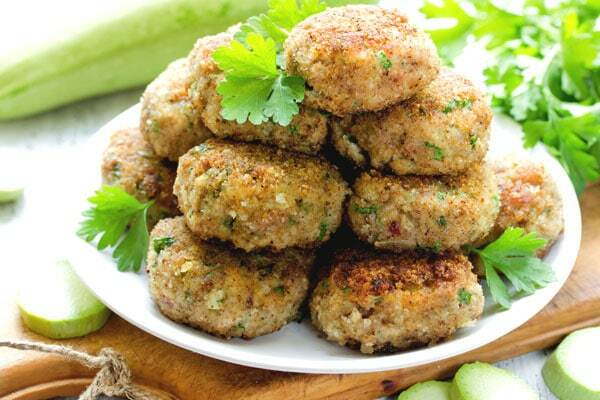 Meatballs can be a light and tasty dish! It all depends on the ingredients and the garnish, such as cooked potatoes or white rice. We start little by little. This time we propose a lighter recipe than usual, avoiding having to put the meatballs in the frying pan. When you have prepared the minced veal dough (or the meat you prefer) with the rest of the ingredients, you just have to shape them and cover them in breadcrumbs or flour. Place the balls on an oven tray with vegetable paper. If you want them to be a little more juicy, you can throw a little olive oil on each one. The cooking time will depend on the size of the meatballs. For example, if they are small it will be 18 minutes. Be careful that they don’t become dry! You can move them halfway through baking so they can cook on all sides. And then… to the bowl with the sauce. Delicious and healthy! 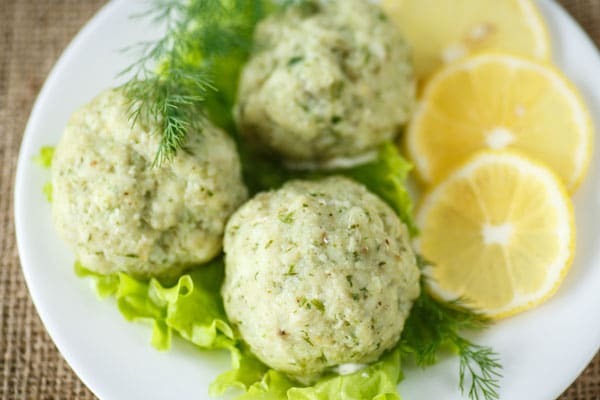 A healthy meatball recipe that you can make with half hake and half salmon. Do you dare? 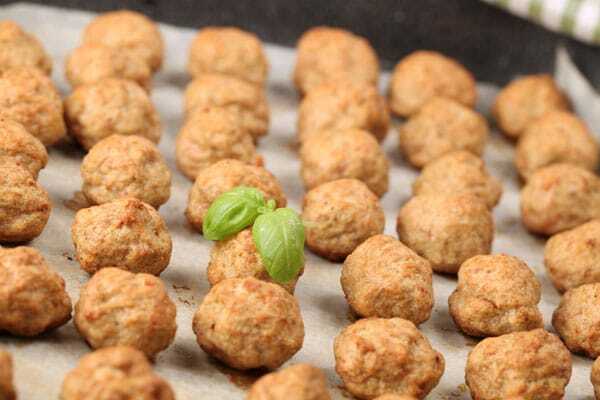 Whether you’re a vegetarian or not, this meatball recipe will surprise you with its delicious taste. It is also perfect for the little ones in the house. If they have trouble eating vegetables, this is a good way to camouflage them. Grate the zucchini and the onion. Save it in a colander. Fry the onion in a frying pan with oil. When it is golden brown, we throw the zucchini in. In a bowl, pour the vegetables together with the previously grated cheese, the egg and breadcrumbs. Also pour the chopped garlic and parsley in it. Season it. We shape the meatballs and then roll them in breadcrubs. Finally…put them in the oven. Our advice: At a temperature of 230º, 15 minutes will suffice. Still, take a look and cook for longer if you see that it is more or less browned to your liking. A homemade tomato sauce will be the perfect complement to these meatballs.